Clayesmore Prep’s senior drama production, Disney’s The Lion King JR roared into life this week, delighting packed houses on every night of its run. Featuring the talents of pupils from years 6-8, this was a feast for the eyes and ears. 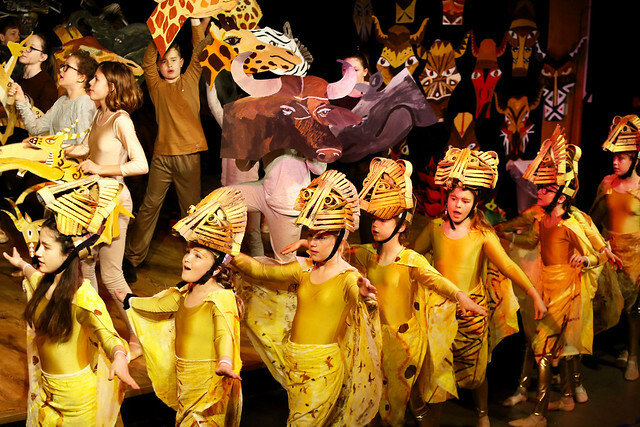 Each and every member of the cast sang, danced and acted brilliantly and the costumes and masks, largely made by pupils, evoked the bright colours of the African savannah. The live band, led by three pupil drummers, performed the familiar tunes brilliantly and the pupil technical, backstage and make-up crews support the performance tirelessly and with skill. Congratulations to all those involved in this stunning production.